The district unit of Odisha Union of Journalists (OUJ) has condemned the attack on journalists during the Niladri Bije ritual, of Lord Jagannth's Ratha Yatra festival at Puri. 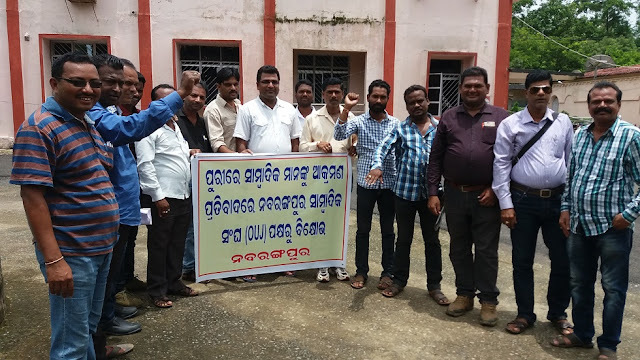 The journalists of OUJ Submitted a memorandum to deputy collector Surendra Nath Tripathy, being addressed to the chief minister of Odisha. "This attack is totally intolerable, threatens freedom of media," said Susant Behera, President of district Odisha Union Of Journalists. He also demanded swift investigation into the attack and stringent action against the culprits. We have sent a memorandum to the chief minister Naveen Patnaik, who holds the home portfolio in support of the demand said Mr. Behera. Among the team Chita Nanda Sahu, General Secretary, Saroj Patnaik, vice-president, Advisors Basant Rath, Jagannath Rao, Siba Sankar Padhy, Laxmikant Panda, with several members present.